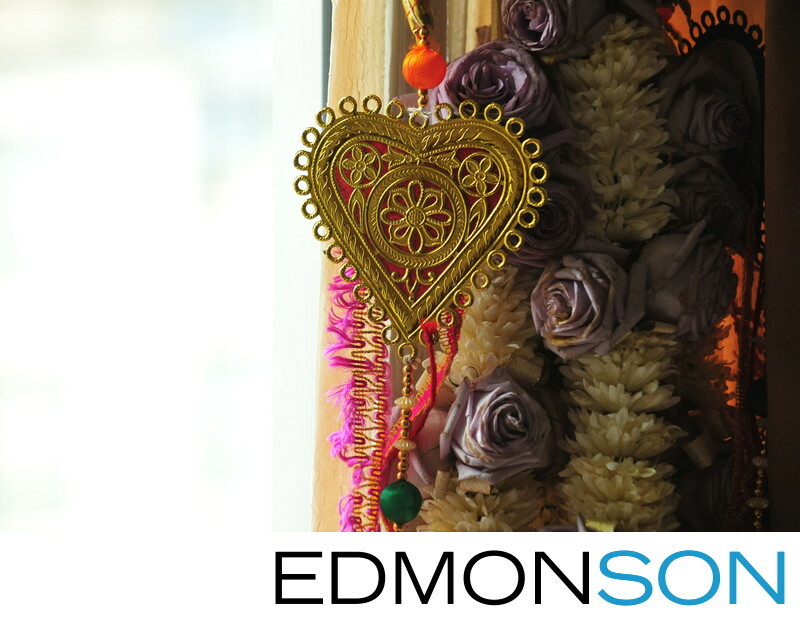 South Indian wedding garland hang is window before ceremony at the Marriot Legacy in Plano, TX. Location: Dallas/Plano Marriott at Legacy Town Center. 1/640; f/5.0; ISO 2500; 125.0 mm.